After thousands of brave Champions have explored its many levels, CRPG Tower Of Time has finally left Steam Early Access today. Launching with an entirely new set of levels and gameplay enhancements, Tower of Time has been engrossing Early Access fans with its 50 hours of gameplay, epic story, revolutionary ‘Arrow Time” combat system and the sheer number of spells, enchantments, loot items and strategic choices. The game is a colossal labour of love for first-time developer Event Horizon. The small 10-person team is helmed by ex-bank analyst Krzysztof Monkiewicz who gave it all up to follow his dream of creating the mother of all CRPG’s. Determined to offer RPG-lovers new levels of depth and tactical choice, Event Horizon has listened to feedback from thousands of players during Early Access to craft its grand vision of what a modern CRPG should be. 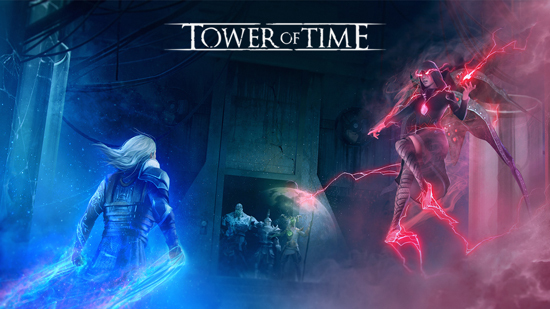 Heavily influenced by CRPG classics such as Baldur’s Gate and the Might and Magic series, Tower of Time challenges the player to guide their party of skilled warriors, mages and technomancers through 11 handcrafted levels of the mysterious Tower to uncover its dark secrets. The game’s most talked-about feature has been its revolutionary Arrow-Time combat system which is a version of Bullet-Time for CRPG’s. It allows players to slow down combat or even pause it completely, enabling true strategic development as the battle unfolds. Heavily armoured fighters can be sent to the front line with enchanted weapons, while ranged-based characters can stay at the back dealing out salvos of deadly fire arrows or life-saving healing spells. Enormous attention has been paid to character development with multiple classes and individual alignments so that critical moral choices impact the combat effectiveness of the Champions according to their decisions. Characters each have access to 8 different base skills that can be enhanced to create thousands of unique combinations. Players can deploy a mix of offensive and defensive spells including magical health totems, weapon enchantments and an all-powerful golem. Early Access fans have also relished the ability to summon magic items such as walls and a shower of arrows by merely drawing gestures with their mouse. 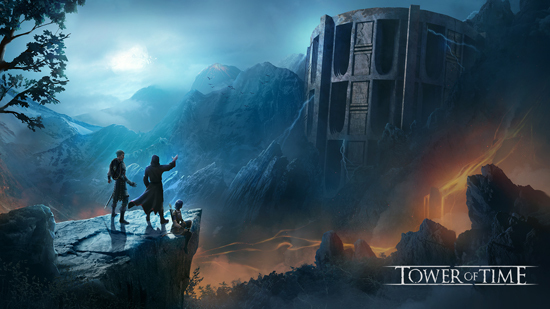 Tower of Time’s list of features to keep players endlessly engaged is genuinely mind-boggling with a sophisticated random-loot system of over 1 million possible combinations, 40 powerful enchantments, multiple combat modes, thousands of skills and five difficulty levels. Players face-off against over 180 enemies that lurk in the tower’s depths including undead creatures, magic-infused golems mechanical Titans and end of level bosses. So fill your quiver, sharpen your swords and get ready to remember why you fell in love with RPGs all over again. Rich equipment system - offering more than 1 million different combinations of statistics. Five difficulty levels - can you beat EPIC mode? Unique skills system - 56 different base skills and hundreds of upgrade possibilities create powerful combinations.